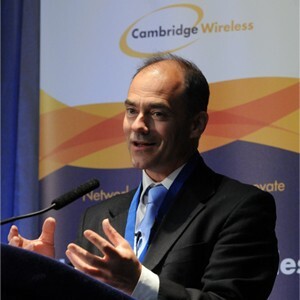 Cambridge Wireless Conference looks at who will benefit from the Internet of Things. 3 July 2013: Over 300 senior mobile industry executives, academics and advisors from 25 countries converged on Cambridge over the last two days for The 5th Future of Wireless International Conference to explore the future of the ‘Internet of Things’ (IoT). Top of the agenda was the question, who will benefit from a world with 50 billion connected devices and who will be the winners and losers when it comes to making money from the IoT? “The energy and enthusiasm at this week’s conference reflects the real excitement building around the Internet of Things that reminds me of the early 90s when the Internet was something only a few geeks had heard of,” said David Cleevely, Chairman of Cambridge Wireless. From an operator perspective, Dr Mike Short, Vice President of Telefonica Europe, also sees the IoT as a major opportunity. In the Cambridge Debate, chaired by Peter Day, Business Correspondent at the BBC, the motion that ‘This house believes that mobile network operators will not be winners in the Internet of Things’ was just passed. Speaking for the motion was James Collier, CTO of Neul, who was challenged by Alex Sinclair, CTO at GSMA. Other speakers included Seigmund Redl, Vice President and General Manager Corporate Marketing Europe, MediaTek; John Cunliffe, CTO Ericsson Western & Central Europe; Steve Townsend, Group CIO, Transport for London; Frank Mackel, UK Managing Director, Rohde & Schwarz; Moray Rumney, Lead Technologist, Agilent Technologies; Paul Green, Technology & Marketing Director, Arkessa; Nello Cristianini, Professor of Artificial Intelligence, University of Bristol; Andy Bovingdon, VP Product Marketing, Bango; Robin Duke-Woolley, Beecham Research; Dr Ekta Sood, Head of Products, Hildago; Rob Barnes, Senior Director, Java Product Management, Oracle; Stephen Deadman, Head of Legal Privacy, Vodafone. 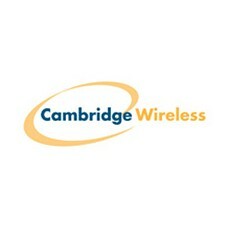 The 5th Future of Wireless International Conference was organised by Cambridge Wireless – the not-for-profit industry forum with a network of nearly 400 members involved in the development and application of wireless technologies – in partnership with UK Trade and Investment and ICT Knowledge Transfer Network. Sponsors of The Future of Wireless International Conference included Accenture, Qualcomm, MediaTek, PwC, Ranplan, Rohde & Schwarz, TTP, Microlease, Cambridge Consultants, S-Tech Insurance, IC Group, InterDigital, Arkessa, u-blox AG, Freescale, Jaltek Group, Broadcom, Anite, Microwave Marketing, Argon Design, Real Wireless and NVIDIA.